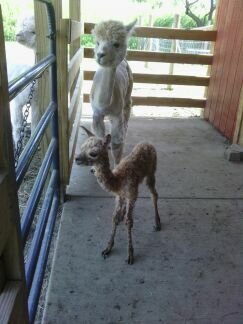 We’re proud to introduce our newest addition to the farm:­ a baby alpaca! 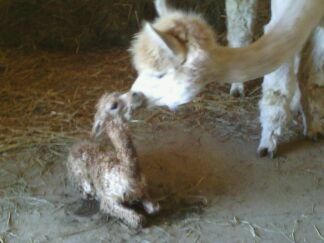 Last Thursday, May 29th, Honey Boo Boo gave birth to a healthy, 16 lb. 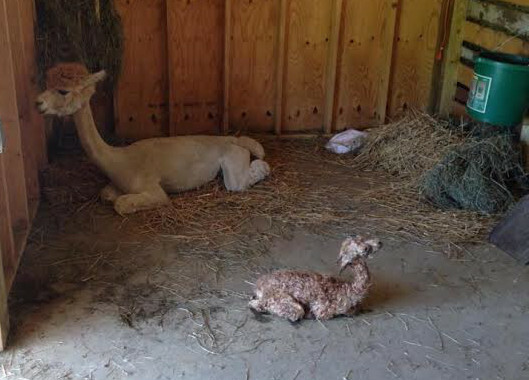 baby girl (or cria) at Farmer Casey’s Ranch! This momentous event occurred at 2:13 in the afternoon. 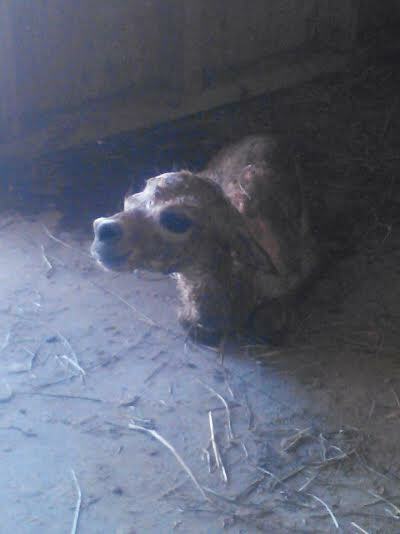 Our friends at the farm stood by and supported Honey Boo Boo through her delivery; there to assist this natural phenomenon only if needed. 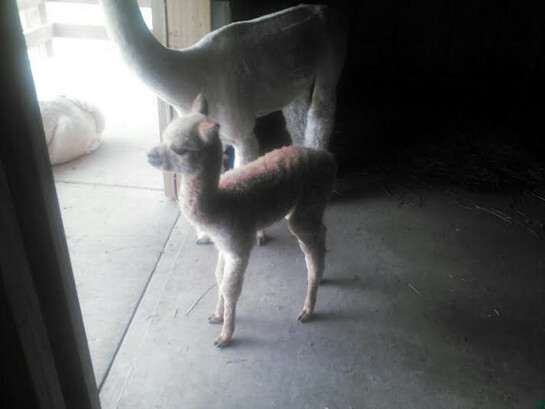 After a year in her momma’s belly, our new little one was standing in no time, and is now walking around like a little champ!